Residents worried about the future of Derrick and Atlas Gardens – the two streets at the riverfront end of Anchor & Hope Lane – have launched a petition asking Greenwich Council to enforce the terms of its own Charlton Riverside Masterplan. The Rockwell development application currently before the council drives a coach and horses through the carefully created masterplan in terms of building heights, levels of density/massing, and affordable housing. If the Rockwell development is approved by the planning board it will set a precedent for all future developers to ignore the masterplan in respect of further planning applications for the wider site. This will have a huge impact on the whole of Charlton. For reasons that are hard to understand, the council’s own officers have recommended giving approval to the Rockwell development even through the application does not meet the vision or targets described in the masterplan which was commissioned by the council and approved by cabinet in November 2017. The petitioners are unhappy about Rockwell’s plans for 771 new homes on an industrial estate which surrounds their homes. 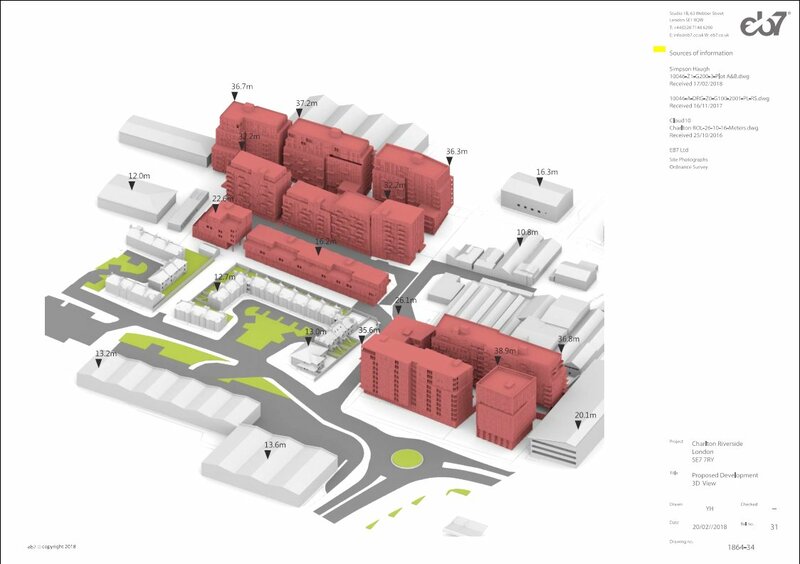 The scheme includes five 10-storey blocks. Councillors voted to defer making a decision on the application at a planning board meeting held just prior to the May council elections. One of the petition organisers, Helen Jakeways of community group Charlton Together, said: “It’s really vital for all of Charlton that Greenwich Council lives up to the vision and ambition of its own Charlton Riverside Masterplan. You can sign the petition here: change.org/p/danny-thorpe-enforce-the-charlton-riverside-masterplan. Derrick & Atlas Gardens Residents’ Association has recently joined Twitter – you can follow it here: twitter.com/DagraSE7. Read previous Charlton Champion coverage of the Rockwell planning application here.